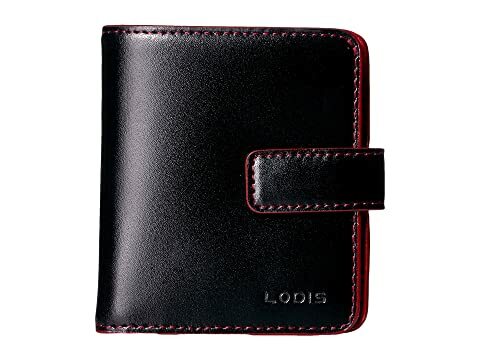 Put the right finishing touches on your look with the Lodis Accessories® Audrey RFID Card Case Petite Wallet. 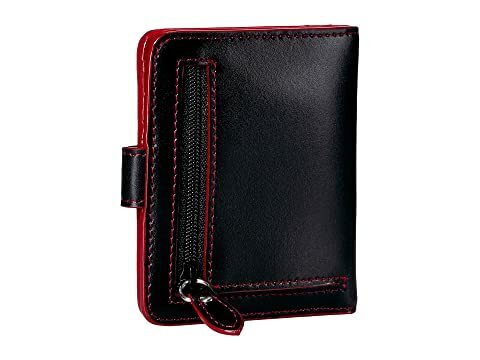 Card case wallet made of smooth Italian leather with contrast stitching. Black features contrasting colored interior. Exterior back zip coin pocket. Interior features ID window, three card slots and one currency compartment. RFID protection throughout entire wallet when closed.